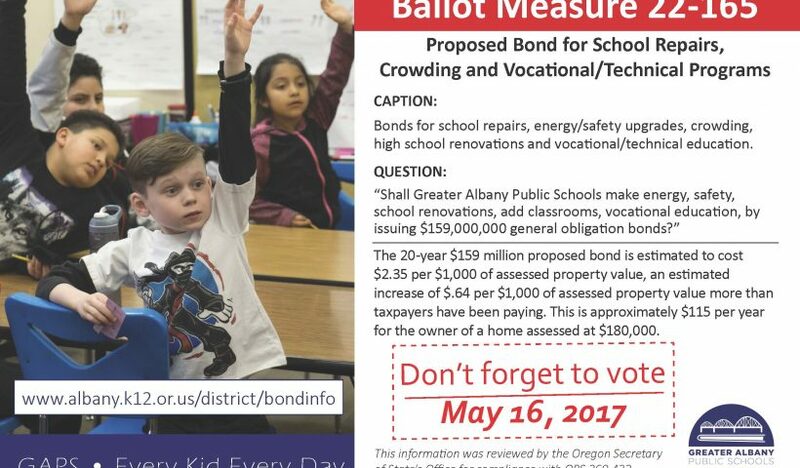 Measure 22-165 is on the May 16 ballot. All voters should have received ballots by now. Be sure you have the facts. 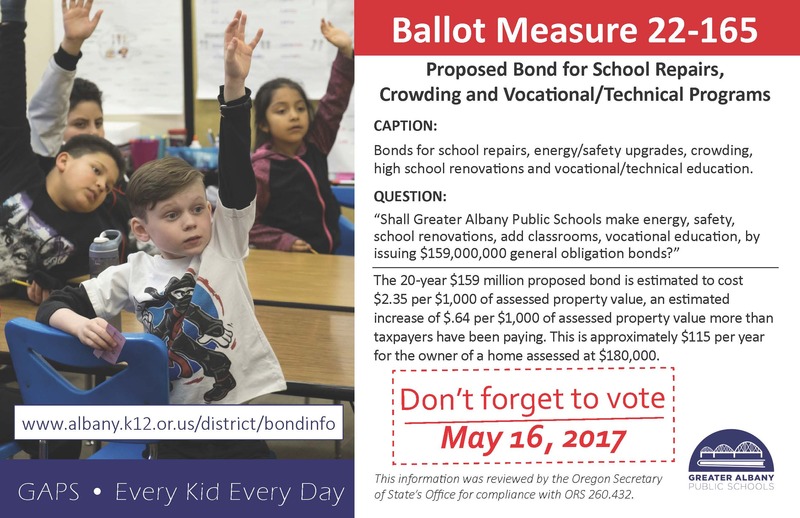 Check out the District’s bond information page to learn about this proposal.